GOVERNMENT TDS SHOULD be allowed a free vote on certain matters under a series of radical proposals to reform the Dáil that have been suggested by a backbench Fine Gael TD. An internal document circulated among the Fine Gael parliamentary party this week has outlined a series of proposals that would radically alter the way in which Dáil business is conducted on a weekly basis with TDs allowed to vote against the government on certain issues. The document, seen by TheJournal.ie, is authored by Dublin South-East TD Eoghan Murphy who has previously called for TDs to have a free vote on upcoming abortion legislation. In the document he calls for a wider loosening of the party whip system to allow government TDs to vote against the coalition on certain matters as well calling for the reform of Leaders’ Questions to allow backbenchers to ask questions of the Taoiseach. A Fine Gael spokesman said that the document has been discussed with senior figures and is in the spirit of the party’s 2011 general election manifesto which “contained a strong element of political reform” but noted the proposals are not currently party policy. In the document Murphy criticises the current party whip system whereby any government TD who votes against the government position is automatically expelled from the parliamentary party. He says this “in essence means that a TD can never take an opposing view to the leadership”. He says the party whip system should remain in place for important bills such as those concerning the Budget but calls for it to be relaxed in circumstances where TD might wish to introduce a “meaningful amendment” to legislation which the party leadership may not support. TDs vote on bills introduced by private members, except on money bills or proposed laws that contradict legislation the government intends to bring forward or has already put in place. Taoiseach Enda Kenny has explicitly ruled out a free vote on legislation for the X Case on abortion, despite calls from one junior minister. At present any government TD who votes against the coalition is automatically expelled from the parliamentary party as has happened to Fine Gael’s Denis Naughten and a number of Labour TDs. “The government can not be expected to draft the best possible legislation every time,” Murphy writes in the internal document saying that the “state and the country suffer” as a result of members being subject to the party whip “on every single decision”. Murphy also proposes that Leaders’ Questions be taken by the Taoiseach once a week for 40 minutes and that each opposition leader be given 10 minutes to have as many exchanges as possible with the Taoiseach. A provision for backbenchers to ask questions of the Taoiseach should also be introduced. Increasing the number of topical issues discussed in the Dáil and for the relevant minister be required to respond to each topical issue raised. Allowing more than one bill to be discussed at Friday sittings and introducing a weighted lottery system for private members’ bills so as that bills on the order paper longer have a better chance of being selected. “A parliament should never be reduced to acting as a vehicle of the executive for rubber-stamping its decisions,” Murphy writes saying that the “vast majority” of what happens in the Dáil is an “aside to the main week-to-week business”. He says that issues are often tackled outside of the chamber in committee and “to a greater extent” in private meetings with ministers, civil servants and special advisors. Murphy claims that initial reforms introduced by the government in September 2011 such as Friday sittings, topical issues and extra sitting days have not been built upon. A Fine Gael spokesperson said in response to a query about the document: “We have many young, ambitious and capable TDs and Senators, who are not currently office holders. They are anxious to see us pursue a strong reform agenda. 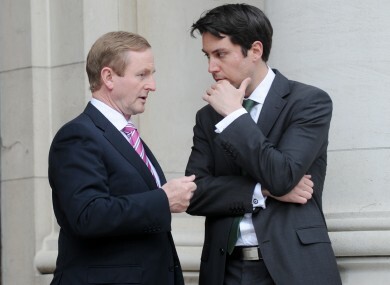 Eoghan Murphy did not wish to comment when contacted last night. Email “Free vote for TDs among radical proposals for Dáil reform”. Feedback on “Free vote for TDs among radical proposals for Dáil reform”.